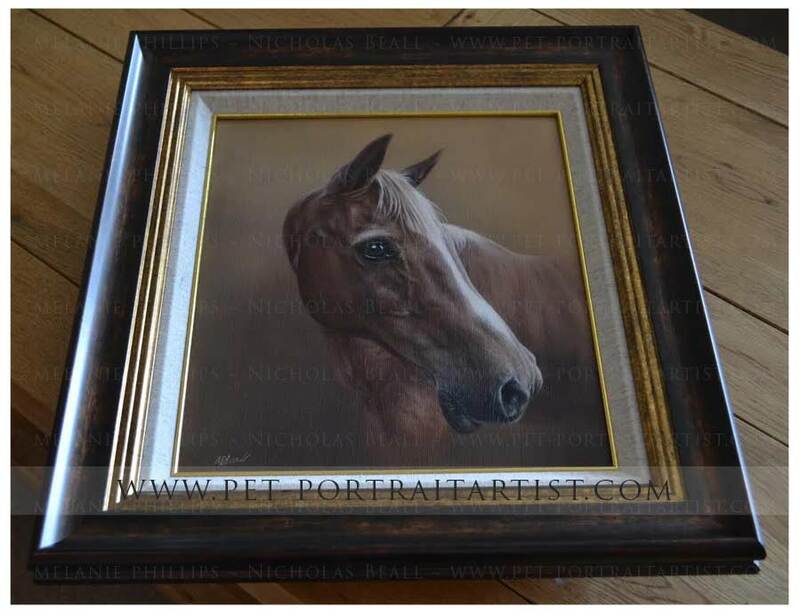 This was a very fantastic commission from a lovely lady called Dawn Young who contacted Nicholas to paint Truffie for her at 12 x 10 size on linen canvas. 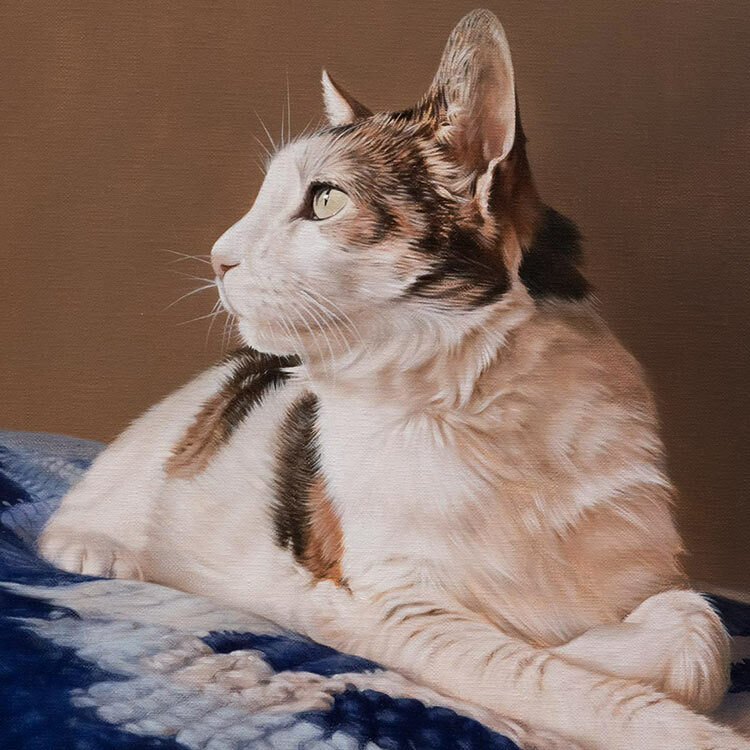 Sadly Truffie is no longer with us, but the portrait will serve as a wonderful reminder for both Dawn and her family of Truffie every day. Dawn very kindly took some photos of the painting when she collected it form the framers, we cant thank Dawn enough for taking photos - and such perfect photos too. 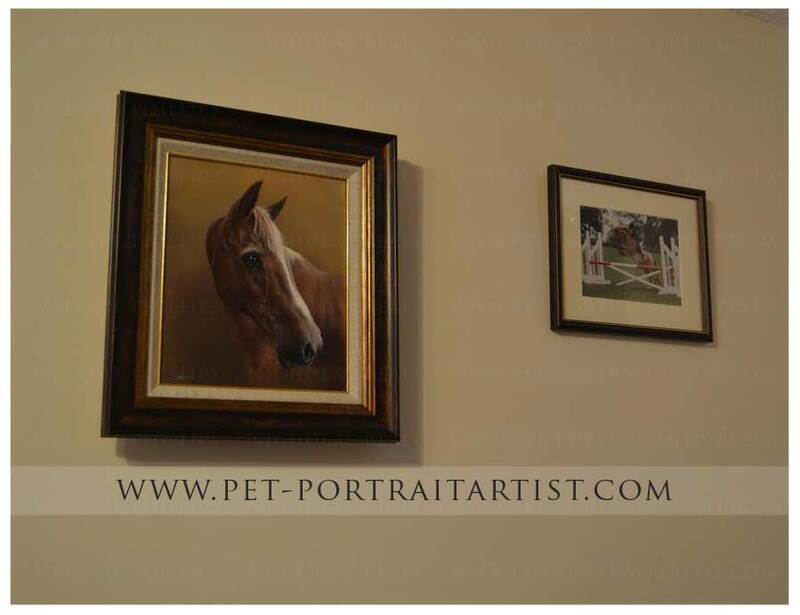 We love to see what the final result looks like once the paintings have been framed and also when its hanging in situ. We hope you enjoy reading Dawns testimonial emails and viewing the photos. I have now got Truffie's portrait framed and hanging on my wall. As promised here are some shots of it hanging and some close ups showing the frame for use on your website. I chose a dark and gold frame as it really brings out the tones of his painting plus the linen slip with gold edging highlights the brighter tones. I am absolutely thrilled at how his painting turned out. Hope you like the pictures. Truffie's portrait arrived today, was so exciting unpacking it!! 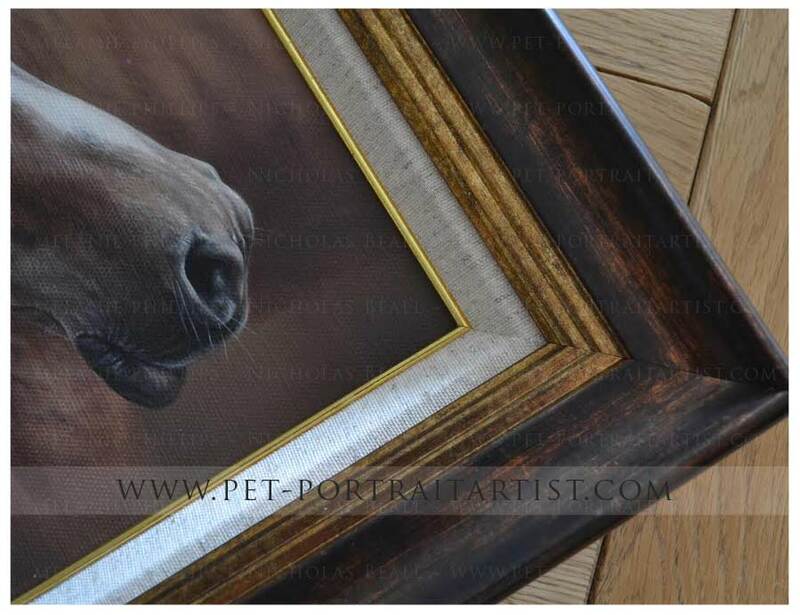 The finished picture is absolutely stunning, the detail that Nicholas captures is exquisite. 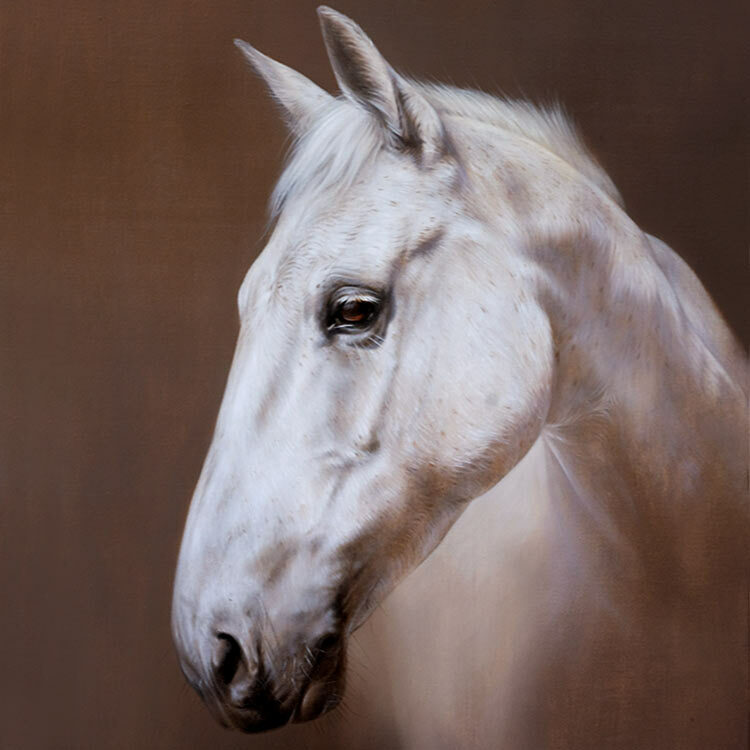 I will be arranging to get it framed soon, I have some ideas of what I would like but will decide once I see the frames against the portrait. I will forward some pics once done and hanging up. Look forward to seeing his portrait on the website! You can post any pics and comments.